A few years ago I bought a house plant, Clivia miniata, and soon after I realised it was infested with Longtailed mealybugs, Pseudococcus longispinus. These are pests of many agricultural plants in warm regions and greenhouse or house plants in colder areas. I was reluctant to get rid of the plant, since has flowered nicely every winter, so I keep the infestation in check by regularly wiping the leaves. 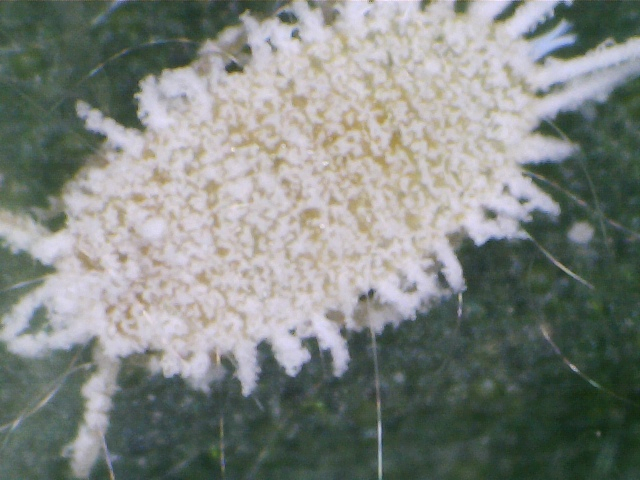 Today I checked the plant and realised it had quite a few visible mealybugs so I gave them a quick photographic session, experimenting with a little 400x Veho microscope. 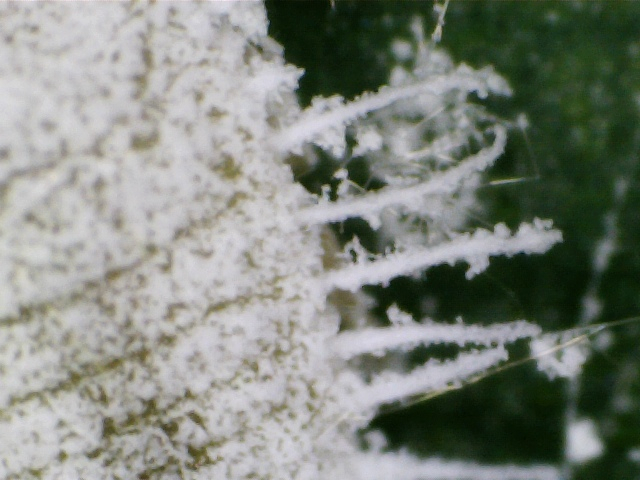 At first sight, infested plants appear to have small powdery patches on their leaves, especially on the underside. On close inspection, weird whitish bugs become apparent, and these are actually insects, with sucking mouthparts. This species has 17 pairs of lateral projections, four of them are long filaments on their rear ends. Under the microscope, their six legs are visible under their bodies, although they are hidden under their lateral projections when looked from above. 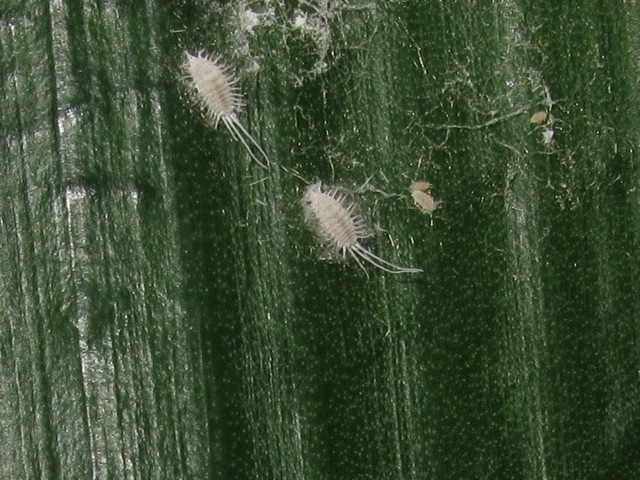 Mealybugs are covered on a waxy white substance that looks like desiccated coconut, and hair-like fibers. They are soft insects and this is their protection against predators, although lacewings, ladybirds can predate them, and they are also parasitised by wasps. Individuals of different sizes cluster together. The larger ones are adult females. They are wingless and have little mobility and they can reproduce parthenogenetically. The smaller individuals are nymphs, and have shorter lateral projections. They are quite mobile, as you can see in this video. The first stage nymphs - just visible with the naked eye - are called crawlers. They are yellowish, and have little wax. I found it impossible to take a photo of them under the microscope, as they walk surprisingly quickly. They appear to be a dispersal stage in the wild, as they are easily blown away by the wind and thus transported to nearby plants. Males do exist, although they are quite rare, and they look completely different. They are winged and lack the waxy coating of females.